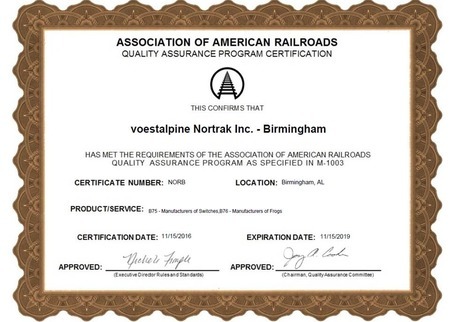 voestalpine Nortrak’s corporate quality management system is certified to ISO:9001:2015. 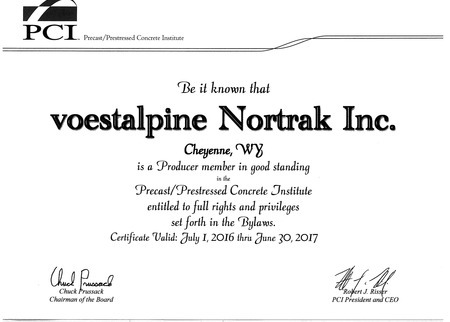 In addition, each of our operating facilities is independently certified to the requirements of AAR’s M-1003. 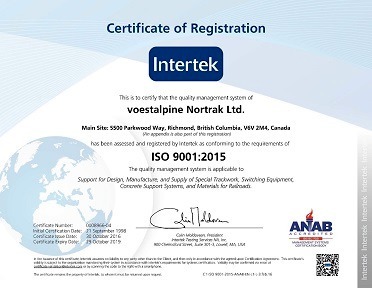 NORTRAK-DAMY CAMBIOS DE VIA S A P I DE CV located in Guadalajara Mexico is certified to ISO:9001:2015.